I realized that I haven’t written a blog post for Hunk of Meat Monday lately so I decided to share this recipe for chicken and broccoli casserole. I’m a big fan of casseroles because they’re usually easy to prepare and it’s all in one convenient dish. This Hunk of Meat Monday recipe is actually several small hunks of meat – chicken to be exact. I started by frying up five chicken breasts. To make the process go quicker I cut them up into smaller pieces. 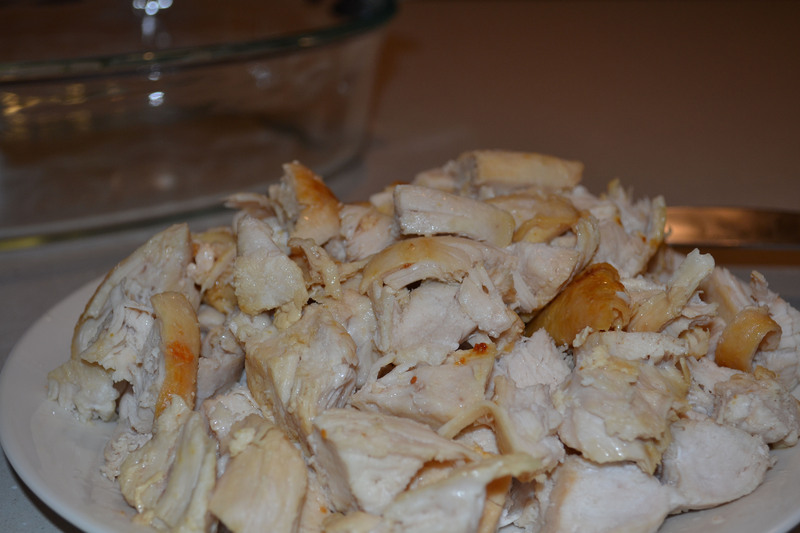 I also like to have smaller chunks of chicken in this casserole. 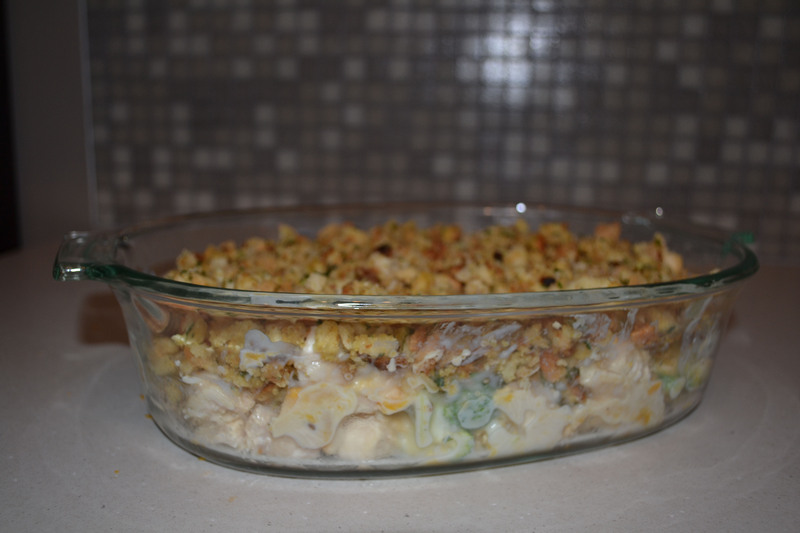 This casserole recipe can be found on the back of some Kraft Stove Top Stuffing Mix boxes. 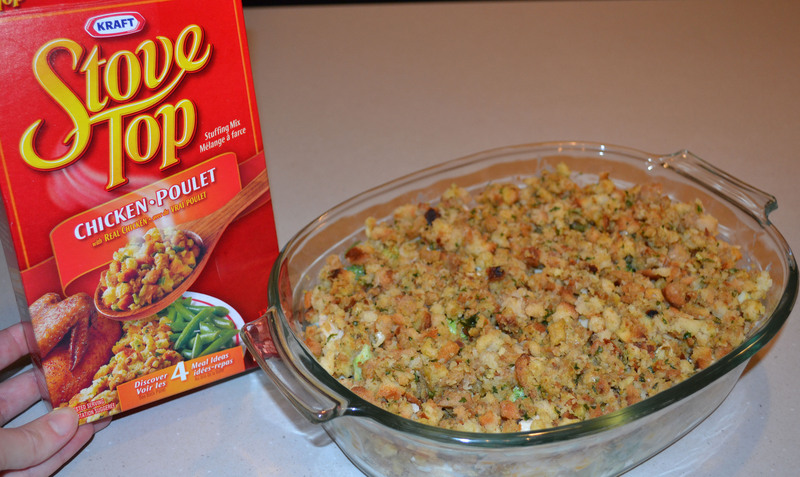 My family loves Stove Top stuffing. We would rather make this stuffing than make it from scratch. And yes, I think it’s just as good. Some things are definitely better made from scratch but not always. And besides, why reinvent the wheel. 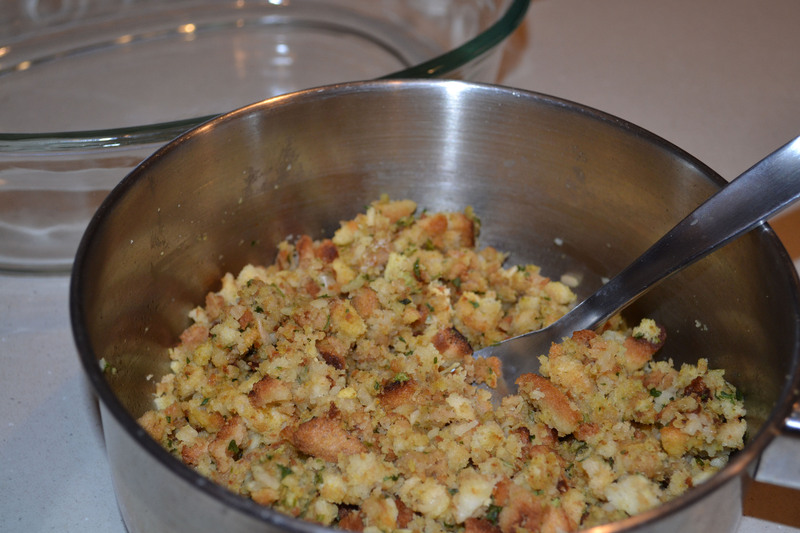 This stuffing is quick and easy to make AND it tastes great. So fry up your chicken in hot oil. Prepare the stuffing mix according to the directions on the box, which is basically just to boil 1 cup water and 2 tbsp margarine in a saucepan and then stir in the package contents. Mix, cover, remove from heat and let stand for about five minutes. Gradually add 1 and 1/2 cups milk to three tbsp flour in a microwavable bowl. Beat with a wire whisk so it’s well blended. Microwave on high for four minutes stirring occasionally. Add 1 cup shredded cheddar cheese and 3 cups broccoli. Mix well. You can also add 1/2 tsp thyme but I didn’t have any so I just threw in some salt and pepper. Finally pour the cheese and broccoli sauce over the chicken. Place in casserole dish and top with the stuffing. Bake at 350 F for 25 to 30 minutes or until heated through. Makes 5 servings. I served this with rice and my mom’s famous pickles! My hunks of meat – chicken. 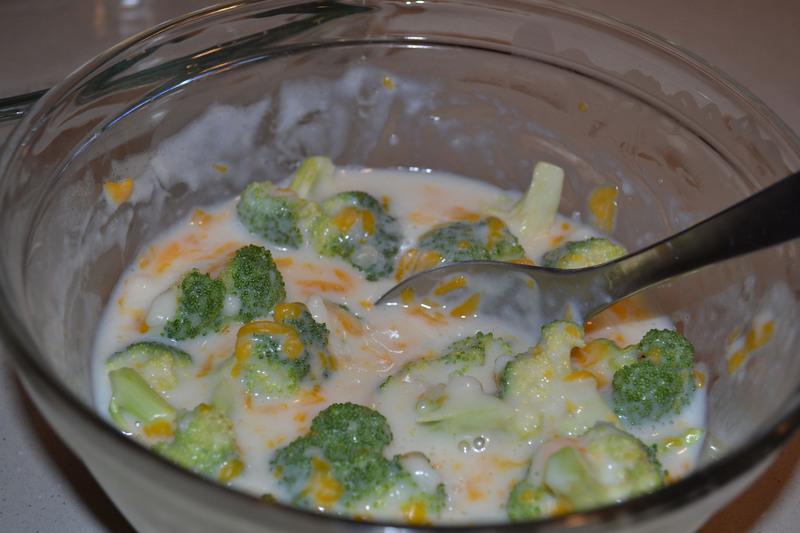 The broccoli and cheese sauce. A side view of the casserole. For more Hunk of Meat Monday recipes check out Beyer Beware‘s blog.